We were given a front row seat into Juan Pablo Galavis and Nikki's Love Story. Check out the highlights from the journey Nikki and Juan Pablo have taken. Nikki made quite an impression on the first night of The Bachelor. She came out of the limo with stethoscope in hand to let Juan Pablo listen to her heart. Nikki's first date with Juan Pablo was the dog adoption photo shoot in Los Angeles. Surprisingly, the date was one of the only dates Nikki was unable to secure a rose on. 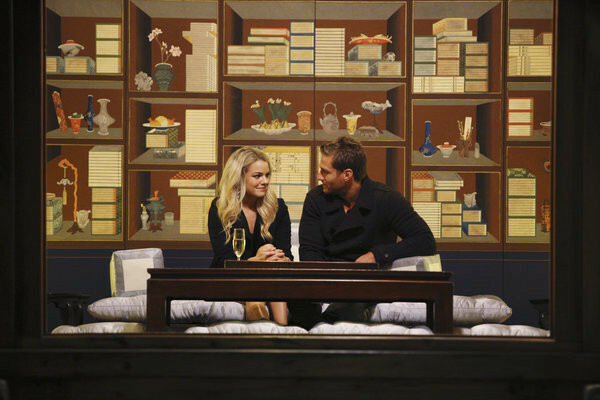 Nikki's first international date with Juan Pablo was the group date in Seoul, South Korea. The date consisted of performing as a background dancer to the South Korean band 2NE1. Nikki had a serious case of stage fright but forged ahead and performed. Nikki secured the rose on the group date. This date was also the first time Juan Pablo and Nikki shared a kiss. Juan Pablo took Nikki on an adventurous one-on-one date in Vietnam. Juan Pablo chose to repel down a cave as their date activity. Nikki didn't know if she would make it down alive. Juan Pablo reserved Marlin's Stadium for his date with Nikki. The two took to the field where they played catch and Juan Pablo gave her a Venezuelan Hat as gift. The miami date was also the first time Nikki met Camilla. Nikki is the only Bachelorette that has met Camilla so far.